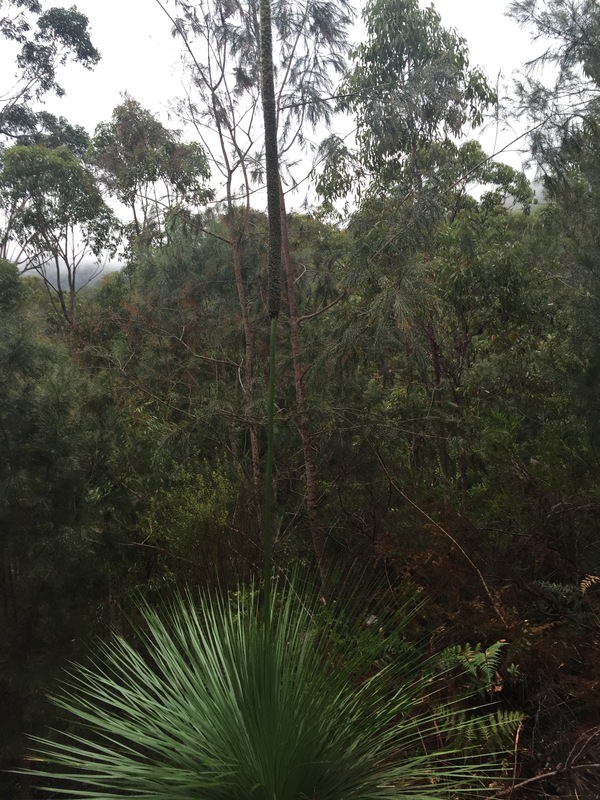 A little further down I spotted the first flowering grass tree spear, Xanthorrhoea Australis. This was a real surprise as I was not expecting this till a little later heading into spring. But the Sydney bush is always full of surprises in winter! Go out into the bush once the winter solstice has passed and you might see hillsides covered in purple flowering Boronias! Here finally down at the Bay itself, glimpsed through silver flowering Wattles (probably Acacia Delebata- although an expert will probably contradict me!) 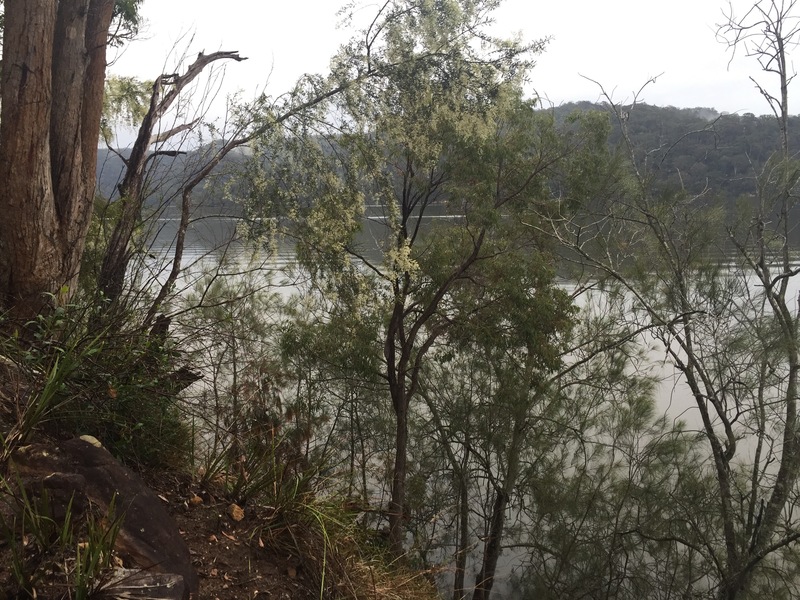 Now down at the edge of grand Budjwa Bay, facing north towards Cobar Point and on to Broken Bay, click on this panoramic image and soak in the silence and the gently falling rain. As you guessed, teaching has stopped for a while, so I can indulge some of my other passions! But, I hasten to add, the marking has not stopped! Thanks professor for transferring that elaborate experience, unto paper, and then us… The reader. I felt as though I was actually there… The serenity and peace, with nothing more than nature, echoing in the distant background.